CertainTeed windows are now being manufactured by MI Windows And Doors. This is a big change from their previous system of using fabricators, which caused lots of inconsistencies in the overall quality of their products. 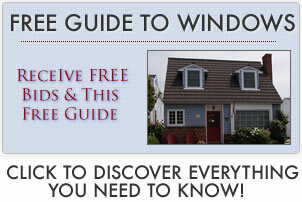 For unbiased opinions of this company’s products, see our page on Certainteed windows review. Certainteed is owned by a French company, but in the U.S they extruded their own vinyl and sold the extrusions to independently owned companies called fabricators. Recently (2011), CertainTeed announced that MI Windows And Doors would be manufacturing all of the window lines. Time will tell if this will improve the quality of their products and series. Prior to this change, many installers and industry insiders felt there was little consistency to the quality being produced. The reason for this was that each fabricator was independently owned and could choose to produce high quality or mediocre quality products even though they all carried the CertainTeed name. CertainTeed is in the mid range of the cost spectrum. Lower end replacements such as the BrynMawr III will run towards the lower end of the price scale. Higher end and custom orders for new construction like the New Caste III will cost closer to the higher end of the price range. Discover more on CertainTeed Prices. The company offers a limited lifetime warranty that covers manufacturing defects for the original owner. If the owner sells their home, the warranty is in effect for 20 years from the date of installation. As with any window warranty, always read it in its entirety to be sure you understand what it covers and what is does not cover. SureStart Protection: 5 years on materials and labor for defective windows.